Dietary fibre has some amazing properties for overall health. This has been covered fairly extensively in our "Recommended Fibre Intake" article. Whenever nature invents something so great, it's no doubt that man will draw inspiration from it and come up with his own interpretation of it. Polydextrose is a tasteless synthetic form of soluble dietary fibre that is synthesised by combining glucose (AKA dextrose) molecules together with a little bit of sorbitol and citric acid. It has applications for weight and fat loss, as well as general overall health. Where Does Polydextrose Come From? There are many forms of naturally existing dietary fibre, such as from fruits, whole grains, and vegetables. However, polydextrose is commonly used in food as a replacement for sugar, starch, and fat, resulting in a low calorie alternative. Foods that may contain polydextrose include cakes, dessert mixes, sweetes, breakfast cereals, puddings, and more. The main benefit of polydextrose is really no different from naturally existing soluble dietary fibre (Craig et al, 1998). Studies have shown that it is a prebiotic and supports the proliferation of good bacteria in the gut, such as Lactobacillus and Bifidobacterium (Zhong et al, 2000), which in turn helps to maintain the immune system and good digestive health. Consequently, the American FDA has classified polydextrose as a soluble dietary fibre, no different from naturally occurring varieties. Like other dietary fibre, polydextrose is low in calories, because humans are unable to digest these compounds as well as simple carbohydrates. Instead polydextrose is fermented by the bacteria residing in our colons. It has been found that polydextrose provides only one calorie per gram, which is only a quarter of that compared to glucose (Figdor & Bianchine, 1983). Eating polydextrose along with other sugars and carbohydrates has the added benefit of being able reduce the glycaemic index (GI) of these carbohydrates, thereby giving a more sustained release of energy. Consuming 12 g of polydextrose along with 50 g glucose reduces the glycaemic index of glucose from 100 to 89 (Zhong et al, 2000). These above mentioned properties of polydextrose make it an attractive addition to food for those wishing to lose a few kilos. Using polydextrose in food reduces the caloric density of the food by adding bulk, while also providing more sustained energy, which together help to eat less and stay feeling fuller for longer. Just like artificial sweeteners on the market today, polydextrose is completely safe to eat. It has been approved by the FDA for use in foods and there have been studies to prove its safety. A safety review has stated that there are no toxic issues associated with polydextrose, and it has been approved for use in over 50 countries for over 15 years (Burdock & Flamm, 1999). Much like other dietary fibre, there are some side effects associated with polydextrose. Because polydextrose is largely indigestible by humans, the microbes in our guts need to do most of the work. This means that if large amounts of polydextrose (or any other dietary fibre) is eaten, it may cause bloating, flatulence and diarrhoea in unaccustomed people. It has been found that an intake of 90 g/day is the required dose for polydextrose to have a laxative effect in humans (Burdock & Flamm, 1999). If your fibre intake has been low, it wise to add polydextrose to your diet gradually to reduce the likelihood of these nuisances. There are is recommended intake for polydextrose as defined by the WHO and FAO (Burdock & Flamm, 1999). However, as it is a dietary fibre, its dosage can be adjusted to fit with your total daily fibre requirements, which should be around 18 to 25 g/day. This ingredient is most likely to be consumed with meals. 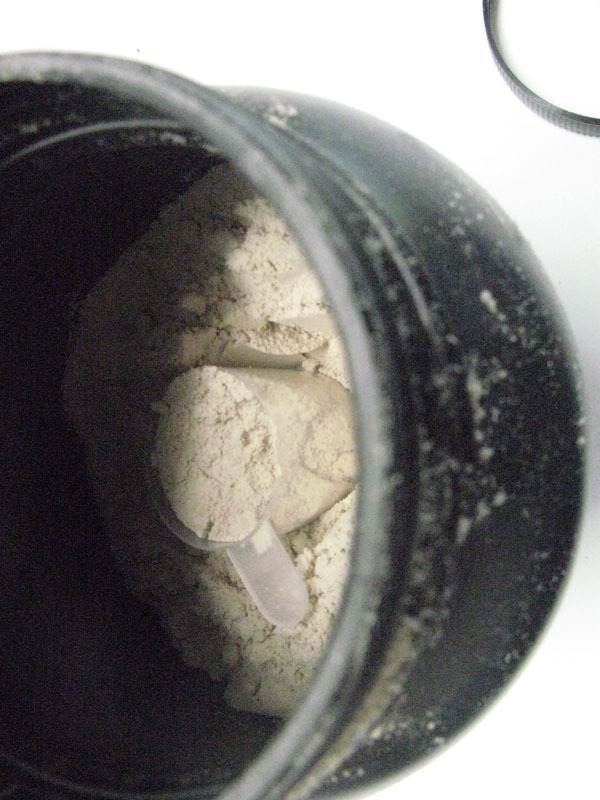 Other than common foods, many protein based bodybuilding supplements contain polydextrose. This includes protein bars and various types of protein powders such as weight gainers and blended proteins. Polydextrose can be stacked with almost anything.